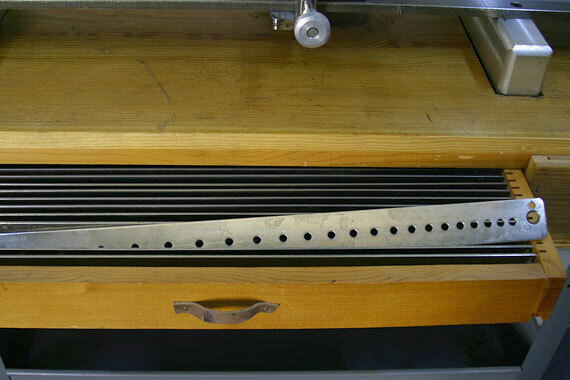 Here's a view of a wonderful fret saw made just about 30 years ago by our friend, Thom Canning, who worked as a tool and die maker for a local Silicon Valley high tech firm. 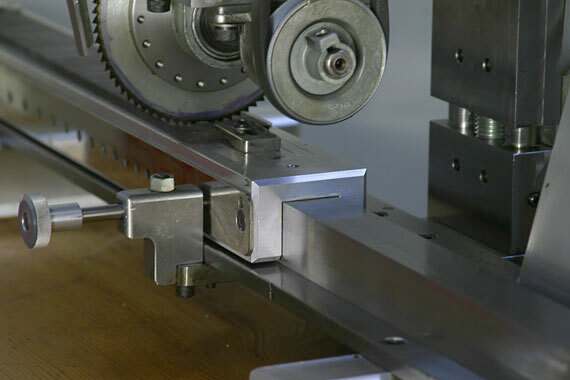 It's all machined from heavy steel and aluminum, and is a very precise and stable tool. 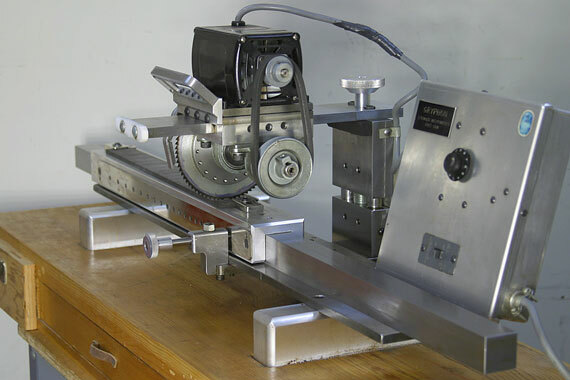 The saw runs on a slide, much as a radial arm saw does, and is belt-driven by a small Dayton DC motor. The big box is the speed control, which allows any speed from "crawl" to "scream." Much the same as the blades available from LMI or StewMac, this one was ground from an ordinary 6-inch plywood cutting circular saw blade. It cuts a 0.022" kerf. 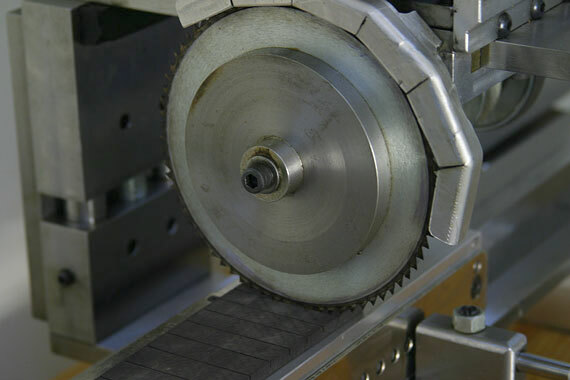 We have some other blades, including one specifically ground for cutting bar fret slots of about .050." 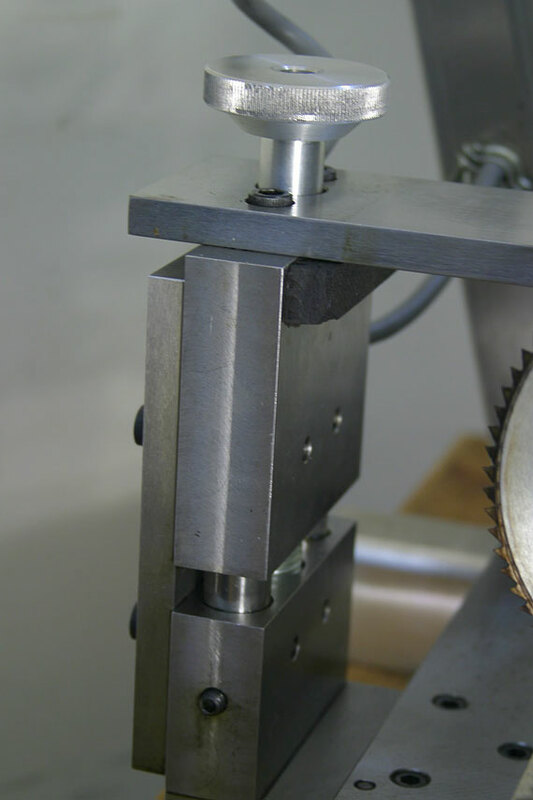 For extra rigidity, there's a pair of heavy balanced steel blade stabilizers. 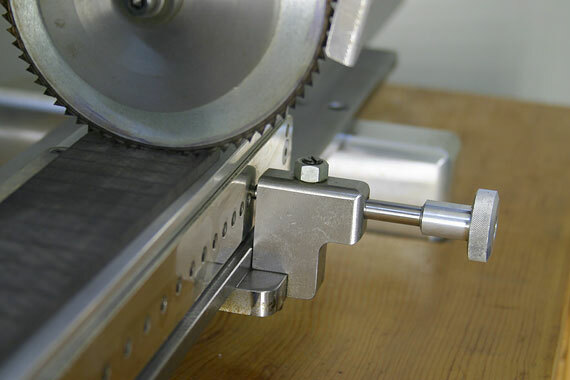 The upper slider rides on a precision ground steel bar and has adjustable gibs to compensate for wear. And, the entire upper assembly is height-adjustable from the back side. 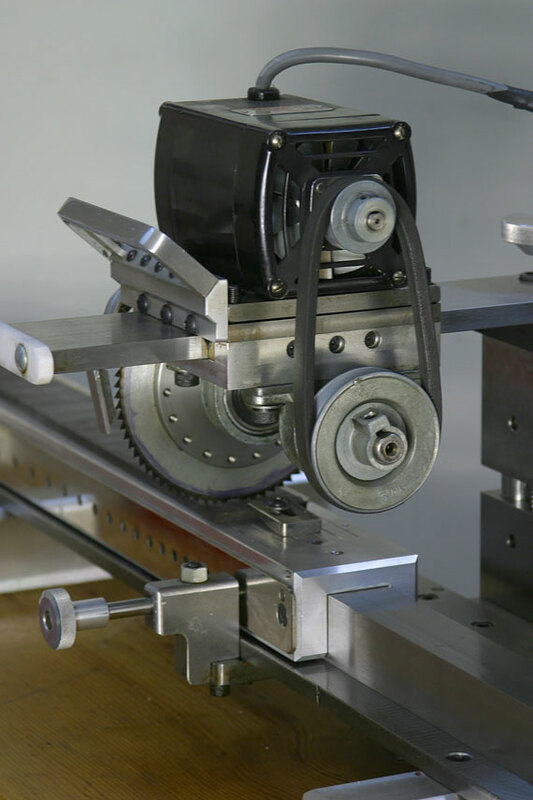 Fingerboard blanks get clamped at the ends onto the heavy aluminum carriage. 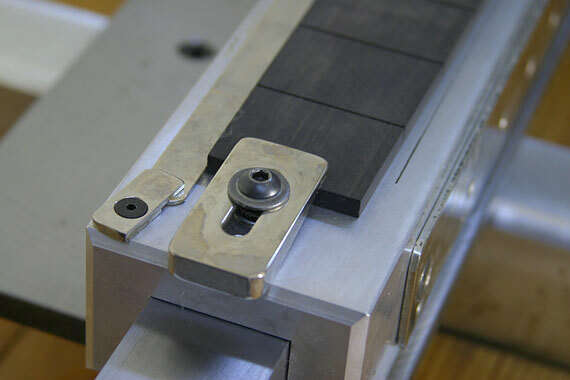 That little bar a the back edge allows the taper of the fingerboard to be set to align the angle of the fret slots. 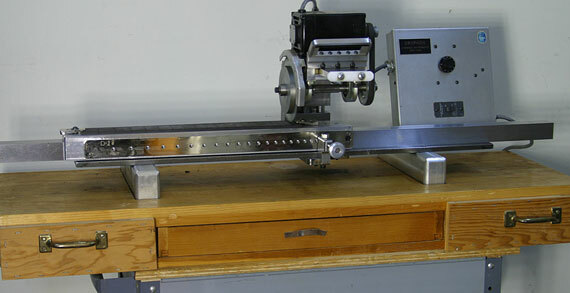 And the carriage runs on a very heavy 1.5" x 1.5" ground steel rail, which is bolted to a half inch thick steel table. 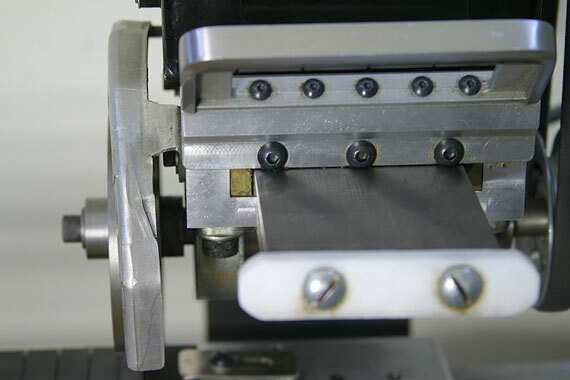 Cuts are indexed by this retractable pin which engages the holes in removable precision drilled templates. The whole setup is so tight I can cut a full set of fret slots, and then run back through them to deepen them if I need to without any fear of misalignment or widening previous cuts.